"changes People - we change Pain"
"relief - reverse - renew"
You are suffering for a long time from chronic Pain, nothing and nobody was able to help and brought relief for you yet. What if there was a way to relief-reverse that annoying debilitating Pain for good? If you always do the same thing in Life you will most likely get the same results. People may forget what we did - but our Customers never forget how incredible well we made them feel. Massage for chronic Pain versus pharmaceuticals. Doctors often don't treat certain issues, they are writing prescriptions or refer patients to see a Specialist. Of-course the first step is to take pain meds to manage and get by any issues. Unfortunately prolonged use of them can be addictive and damaging to your health. Think of the opioid pain killer epidemic happening now. Perhaps you should try a professional Massage. A few treatments will be self evident of what it can accomplish. Don't give up to soon, just because you pressed the button and the elevator dosent comes right away. Nature works gradually, everybody is different and therefore responds differently. Remember it's less risky and not as an expensive option like surgery. You may discover that you don't need the shoulder hip knee other operation at all. Besides Therapeutic Massage treatments there are things that you can do nutritionally, much info available for free on the net. However whomever you seek for help ensure you seek out those that are experienced in these types of treatments. 30 + year issues can/have been reversed-resolved. Just as a Captain on a Ship in charge, so it is only yourself that decides what to do about your well-being. 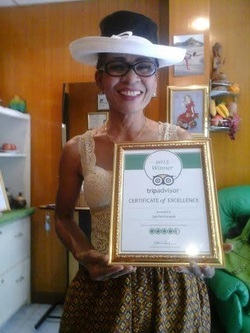 Please see what our Clients say about us on Tripadvisor. We invite and welcome professionals that are interested and qualified to educate themselves on what we do. Mykeuy Pain relief-reverse Therapy is to relieve-reverse Pain, discomfort, tension permanently*, while increase mobility, flexibility, and coordination. This unique technique provides a systematic method of determining exactly which muscles, fascia and respective Points are the cause of the problem. By following the Pain through its referral pattern back to the initiating active Mykeuy-Key Points and then releasing these Key Points along with any other associated latent, secondary, or satellite Mykeuy-Key Points. This Therapy relieves-reverses, common painful conditions. Conventional Physical Therapy (while much more expensive) often can not achieve in Months what this unique method does with only few treatments. Most of our Clients issues are resolved with 3 to 5, each 1 1/2 Hr sessions, even where other treatments previously have failed. Mykeuy treatments are different from what anyone else does. It can not compared with traditional Thai Massage or another practiced Massage techniques. How long before I will get better? Relief, reversal, gradual healing and improvement are usually realized immediately, and up to Day's and Weeks after the treatments ! after 3 to 5 sessions. Some serious cases may take longer, like our fingerprints, when it comes to healing everyone is different. How is this possible and why is nobody else doing that? Occasional customers experience various degrees of discomfort during and after the treatments, extra vasation may occur for few day's after. Blood, Lymph stagnation is considered to cause many diseases ! Imagine, running water will give clear and clean water while a stagnant pool will be full of dirt, algae, rubbish. Blood circulation is very similar to this. When blood is not flowing smoothly, it begins to slow down and eventually becomes stagnant. This will create an environment for development of diseases. When Mykeuy technique is applied, it quickly releases blockages in your body that have been caused by stagnant blood. 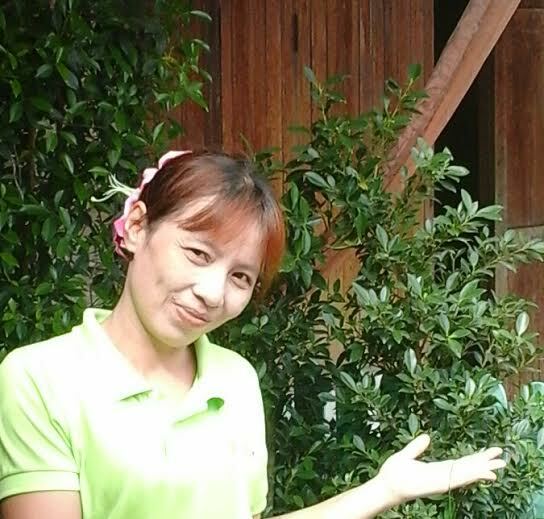 Our success in Healing is a result of Thai Traditional Medicine and fresh Thai medicinal curative Herbs applied with expert knowledge of application. 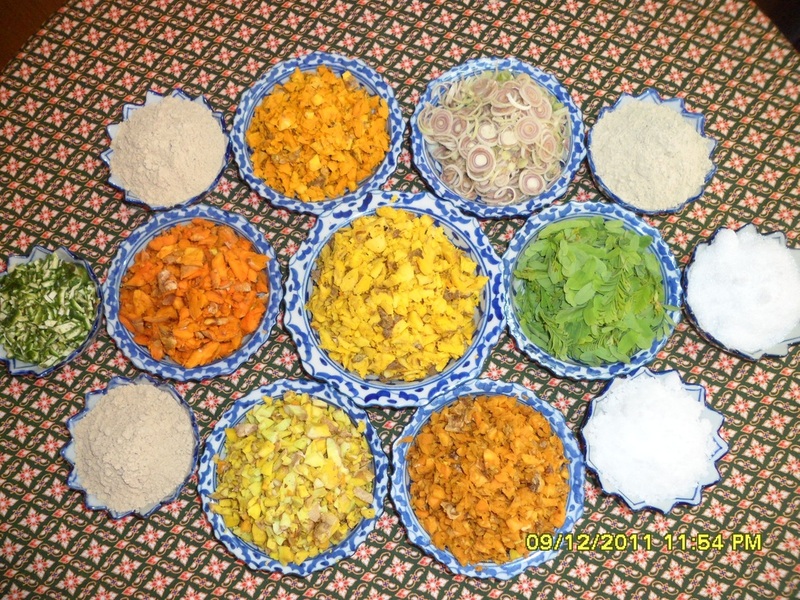 Thai Traditional Medicine has been successfully in practice in Thailand for Centuries. depending on the issue and treatments required at the most a couple hundred Dollar in comparison to thousands you would have to spend in your Country. You also save Time and Money on expensive tests, Pain meds, months in therapy, other. Furthermore "You" will regain your health faster and return to enjoy your normal Life instead of having to endure debilitating Pain. before you start on a long journey of pharmaceuticals, drug dependency and or costly surgery. 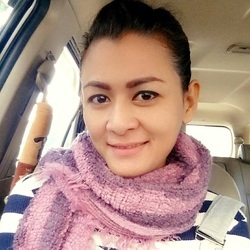 _At Spa Patcharapat, we specialize in the treatment of painful conditions of the neuro - muscular system. The Thai Herbal Compress treatment is exceptional beneficial if you are prone to deep-seated tension in any part of the body. It is superb for the relief of repetitive strain from long hours at the computer, exercise, injury's, immobility and generalized fatigue, and emotional stress and anxiety. Therapeutic application is very effective for general body detoxification, cellulite and slimming treatment. 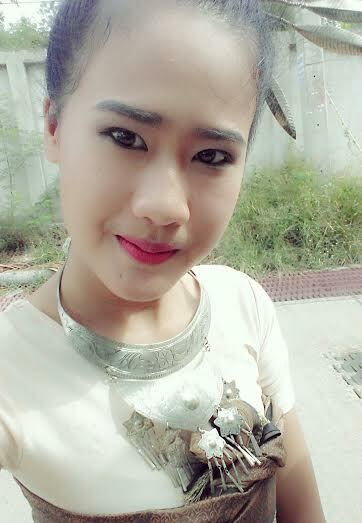 The treatment uses a blend of Thai herbs and roots which are wrapped in unbleached cotton and heated in a steamer. This hot compress is then applied to the body for the relief of various muscular aches and pains, and to exfoliate and soften the skin.The spherical compress becomes a massage tool, tapping, twisting and pressing, kneading and relaxing the tense muscle and connective tissue. The compresses releases the natural essential oils of the medicinal herbs, allowing them to penetrate the skin and enhancing the relaxation and healing response. truly an unique experience ! 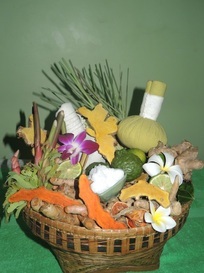 We use only fresh Thai medicinal curative Herbs and Roots selected for your Compress. 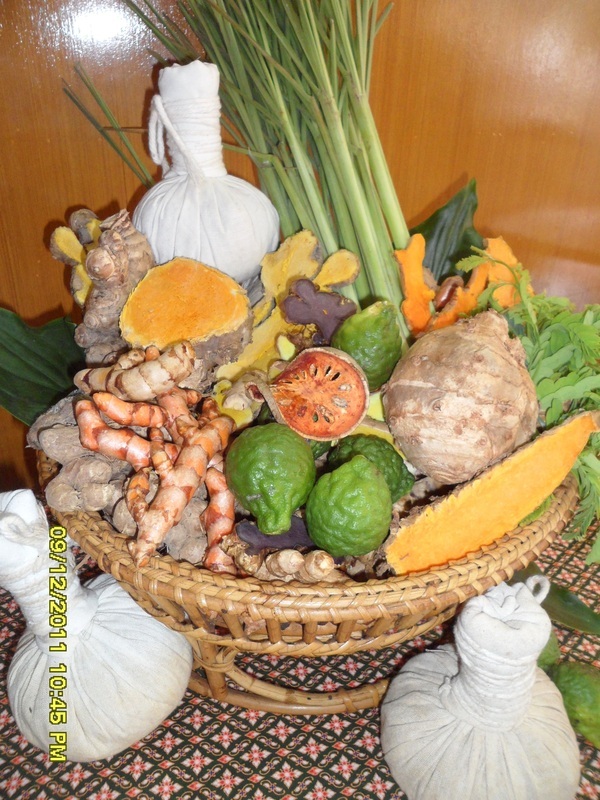 Luk Pra Kop is a Thai traditional Medicine-Culture process that has been in practice for Centuries. Antiseptic properties help clear up the skin. Helps stomach, bone and joint, and back pain, sprains, bruises, and sore muscles. Scent is soothing and invigorating. Treats headaches, poor circulation, and speeds healing. Stimulates, refreshes, increases alertness and concentration. Relieves fatigue and aids digestion. An excellent toner for the skin, alleviating stress through its pleasant, soothing aroma. An anti-inflammatory and antiseptic agent. Relieves sprains and muscles pains. Plai is of the ginger family but has more intense actions. It relieves inflammation of the joints, muscles and ligaments, and relaxes muscles. A natural moisturizer, it also softens skin. Anti-inflammatory, anti-bacterial, and antiseptic properties. As an astringent it soothes and cleanses irritated skin. It beautifies skin and relieves body exhaustion. Helps bruises and sprains. Turmeric has a detoxifying effect on the blood and digestive tract. Its cooling and tingling sensation helps to invigorate the skin. Relaxes the muscles. Stimulates the brain, heart and circulation. Decreases stress and anxiety and helps with insomnia. An anti-inflammatory for sprains, muscle pains and arthritis. Eases and soothes respiration. 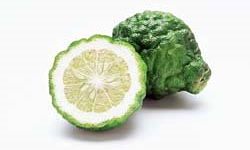 Both the fruit and the leaves are used. Treats dry skin. Natural deodorizer and cleanser. Helps with headaches, colds and congestion. Helps tone the skin. Astringent and antiseptic properties. A natural exfoliate. Nourishes the tone and elasticity of the skin. Decreases blood pressure. Helps sprains, swellings, and swollen joints. Contains vitamin C and calcium. Aids in relaxation & increases energy, stimulates the mind and senses. Helps speed healing, relieve pain and counters indigestion. Antiseptic action similar to ginger. Helps with skin infections. Useful for indigestion, nausea, and stomach aches. Helps with relaxation and decreases exhaustion. Helpful in skin care. Anti-inflammatory and antiseptic properties. Helps with dry skin. Strengthens the immune system. Revitalizes the heart and veins. Good for the complexion and is helpful with skin care. Heals bumps and bruises. An antioxidant, relieves pain and numbness, aches, and muscle tension. Improves circulation, reduces inflammation, and helps with pulled ligaments and tendonitis.